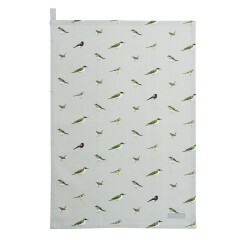 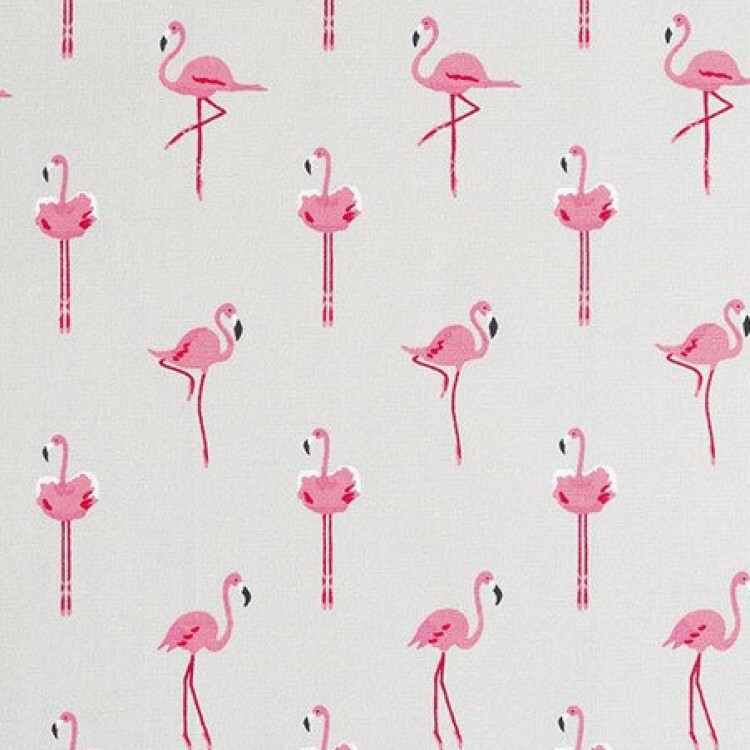 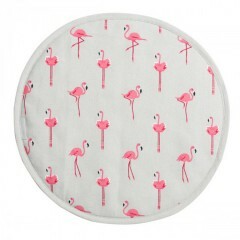 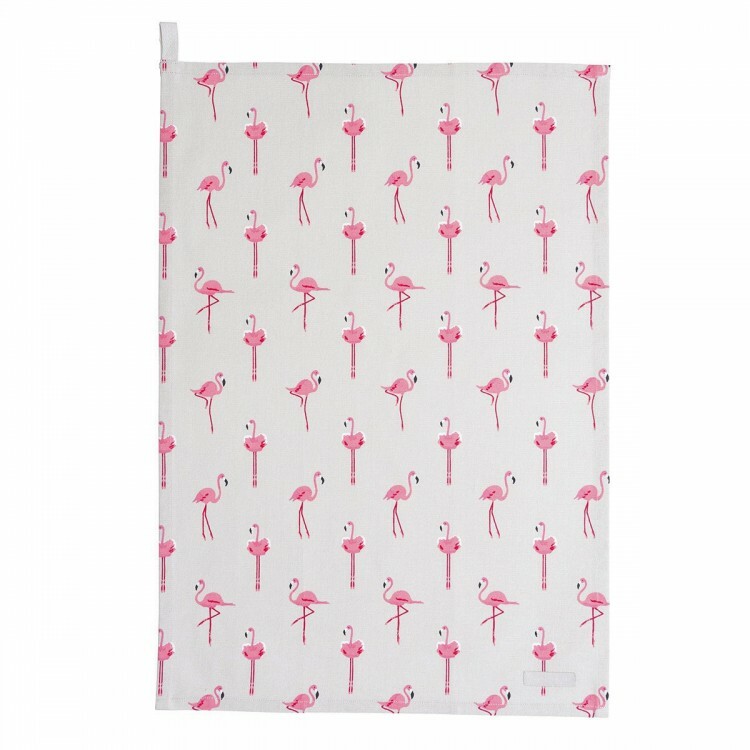 This fun Flamingo tea towel will make your drying up a bit more enjoyable! 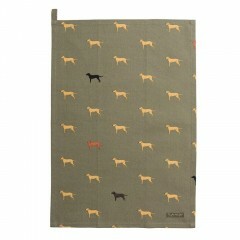 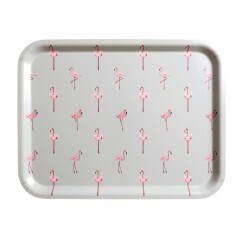 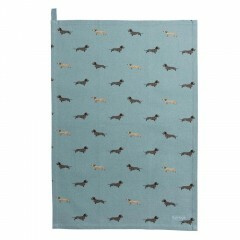 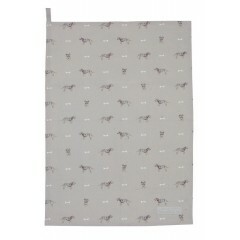 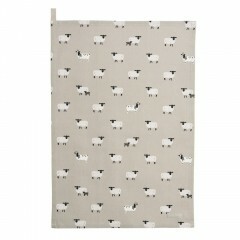 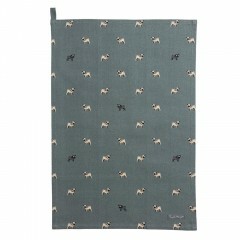 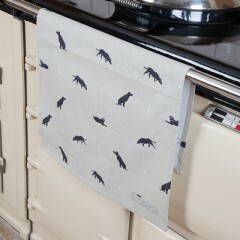 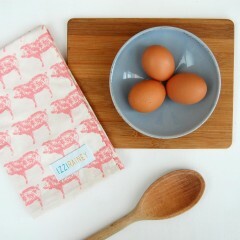 The design showcases Sophie Allport's pink Flamingo design against a chalk grey background colour. 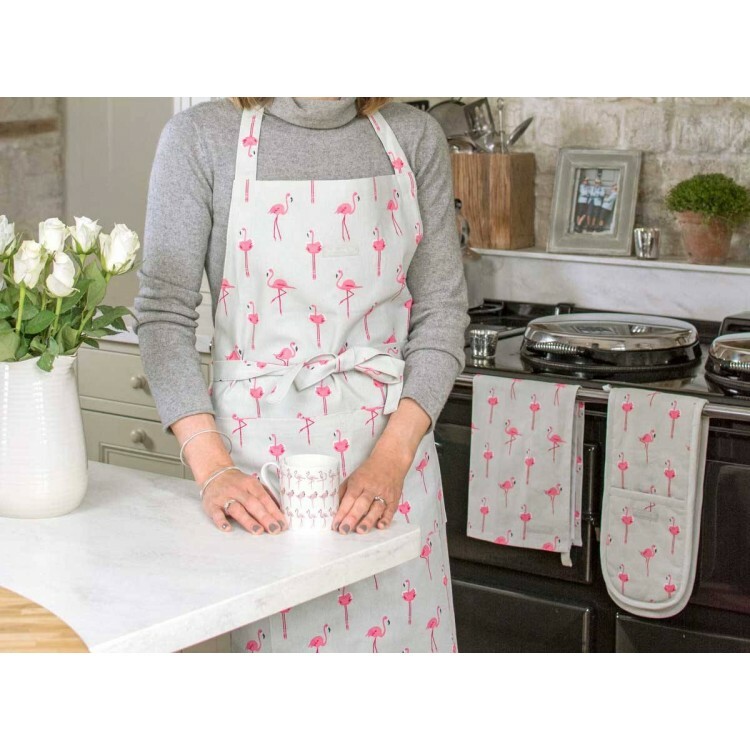 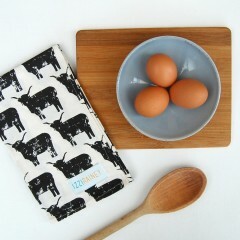 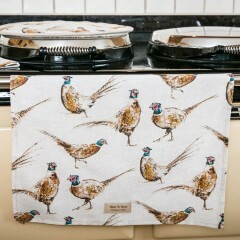 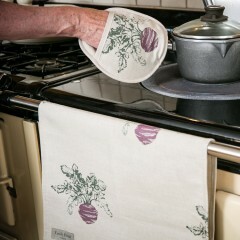 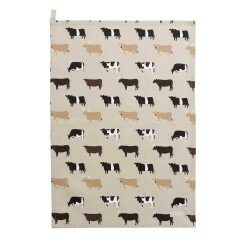 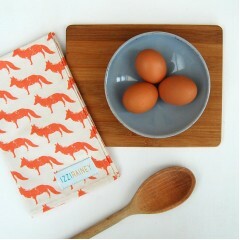 Why not try these matching double oven gloves to make your kitchen really pop!